An attempt was made to request data that is not available to the key that was used to authenticate the request.API Error ID: D82C5859575F4B3E8D2F42D5399C7154 The API says: [The API key you supplied is not enabled] While attempting request to (https://api.wolfnet.com/core/auth). Have you heard the expression “when it rains, it pours”? Of course you have. It can be literal or figurative, meaning either a sudden upsurge of activity in your life, or, at its most basic, lots of rain. Well, it is raining and pouring here at Lake Travis. Quite literally right now, and soon figuratively as well. Lakefront dwellers have been sighing in relief as the water has been tumbling down over the last few weeks – in fact, the lake has risen about 5.70 ft over the last 30 days alone. This is big cause for celebration for those who have witnessed “sometimes island” slowly assert itself into “always peninsula” over the last few years of hot and heavy drought. Central Texas remembers the summer of 2011 very well – the lakes started drying up and the land caught fire, bathing us in a gruesome drought. Although conditions have improved throughout most of the region from active fire to normal heat, the infrequent and inefficient rainfall over the last few years has done nothing to alleviate the drop in lake levels. Until now. We expect to see lakeside real estate value rise along with the water levels. For the last several years, the term “waterfront property” in regards to Lake Travis was a bit of a joke. People who originally purchased these homes for their proximity to the water and ability to dock and easily access their boats grew increasingly frustrated as the water vanished. Furthering homeowner’s woes was the corresponding drop in the value of their homes and property. As the lake swells and the shoreline inches closer to homes, however, property value will increase. Although the recent rainfall and correlating uptick in waterfront property value is excellent news and a great way to kick off the summer season, it’s important to know that we aren’t entirely out of the weeds yet. There is still an overall deficit of about 44 feet – something that won’t go away overnight, or even over a few weeks. Water conservation is still key. Keep tracking Lake Travis water levels over the next few days – we’re hoping for continued good news! Whether you’re one of those rare born-and-raised Austinites or you’ve only been here a couple years, it’s nearly impossible escape the hype that surrounds the city of Austin. Surely you’ve noticed more congested streets and an ever-expanding skyline. Over 150 people move to Austin each day – making it the fastest growing city in the US. But really, can you blame them? Austin boasts a booming economy, amazing weather, friendly residents, endless job opportunities, and let’s not forget the most important thing, breakfast tacos. Not only does Austin’s unemployment rate continue to drop, but the city is the hub of technology, startups, and innovation. Austin is home to top brands such as Whole Foods, Dell, Yeti Coolers, and more while successful startups such as RetailMeNot, Indeed, TabbedOut, and many more are finding notable success. The quality of life in Austin is unbeatable. It’s clean, it’s environmentally-friendly, and it has some pretty cool activities. In fact, Forbes ranked Austin among America’s coolest cities to live in. From food trucks to revolutionary new restaurants that top many of the nation’s best lists, Austin has any delicious cuisine you can imagine. With October and Halloween behind us, November has a lot in store for the great city of Austin. Some people say New York is the city that never sleeps, but Austin never snoozes either. Austin always has amazing and different events and activities that anyone can enjoy! November is known for the family, foody holiday of Thanksgiving but Austin has so much more than just Thanksgiving to look forward to in the month of November. Yes, Thanksgiving is an amazing time to share with family and share a meal that will leave you with a food baby, but this month can be so much more than just that. To kick the month of November off right, Formula 1 United States Grand Prix will be here this weekend 10/31/14 – 11/02/14 at Circuit of The Americas. Drivers from all over the world will be in Austin competing in the Formula 1 United States Grand Prix. This race is built around a state-of-the-art 3.4-mile circuit track with capacity for 120,000 fans and an elevation change of 133 feet, the facility is designed for any and all classes of racing – from motor power to human power. People from all over the world come to see Formula 1, which brings so many people to Austin. People get to experience one of the best cities in the nation thanks to Formula 1’s spotlight on us. This is a great event to go to with friends and family. Go to www.circuitoftheamericas.com for more info. To kick the month of November off right, Fun Fun Fun Fest is the first weekend of the month this year. November 7-9 anyone that has a pass can enjoy three days of amazing music, comedy, and skateboarding. Fun Fun Fun Fest is equipped with a taco cannon. What could be better than a taco cannon at a music festival in Austin, Texas? Make sure to get your passes for next weekend! 11/28/14- 12/24/14 at the Marchesa Hall & Theatre the Blue Genie Art Bazaar will be held for everyone and anyone to enjoy. This art bazaar is a fixture of the Austin holiday season and shoppers can browse through thousands of original works from serious art to fun and kitschy items. This is a great way to buy hassle-free holiday gifts and support local artists. Keep Austin Local! There will be many other events and countless shows throughout the month of November so you just have to keep your ear to the ground for those events you wouldn’t want to miss. You should never be bored in Austin. There are so many activities to enjoy every month that it’s no wonder people love living here and so many people are making their way here. Let’s all have a fun-filled November! Food is second nature to Austin. People may know us as the Live Music Capital of the World, but something that we also rein in this town is food trucks. Austin, Texas bleeds music & food. There isn’t a day that goes by where people aren’t enjoying a variety of interesting and splendid food in the capital of the lone star state. There are over hundreds of different food trucks in Austin and new ones popping up all the time. If you’re moving to Austin or just coming for a visit there are definitely staple Austin food trucks that you have to try. These trucks below have gotten national recognition for the flawless food that makes all of us never want to stop eating. Chi’lantro does fusion cuisine that makes Austinites drool. They have amazing Korean-Mexican hybrid food that is just what you want for late-night snacking after a long night out on 6th Street. This place combines two of the most perfect foods that you wouldn’t think go together but do, and that’s– tacos and kimchi. Must-order Item: The kimchi fries are smothered in cheese, sriracha and a creamy “magic” sauce. They are then topped off with caramelized kimchi and Korean BBQ. This sweet, tangy, savory and spicy dish will be one of the best food experiences you ever have. This food truck moves around all over Austin so keep up to date with their Twitter or look them up on their site! The Peached Tortilla combines Southern and Asian flavors like it’s no ones business. This is a food truck you definitely have to find, order the food, and see for yourself just how good it is. Must-order Item: The BBQ Brisket Burrito is stuffed with dry rubbed brisket, cilantro lime rice, creamy slaw and a smoky roasted peach BBQ sauce; it also includes everyone’s favorite–a fried egg. You can’t have completed a food truck tour of Austin without a visit to the East Side King truck. East Side King is the creation of chefs Paul Qui (winner of Top Chef Season 9) and Moto Utsunomiya. The chefs are inspired by Asian cultures, rock bands and the Austin’s laid-back, experimental and fun-loving vibe. You can find East Side King at The Liberty, Cheer Up Charlie’s, Hole in the Wall, and other locations! Must-order Item: The beet home fries at Eastside King are insane. The beets are first roasted which gives them a slightly sweet flavor and soft texture. They are then fried to get the crispy outer crust and served with a tangy mayo. Also try the Brussels sprout salad and the Tori Meshi. Hey Cupcake! was one of the first silver airstream food trailers in Austin and is now one of the biggest names in town. The name tells it all, they serve large amazingly wonderful cupcakes that will bring a smile to your face. A great thing about Hey Cupcake! is that if cannot make the trip to the truck, they will deliver the goodness to you! Must-order Item: For those of you with a sweet tooth, the red velvet cupcake is to die for as well as their 24 Carrot carrot cake cupcake. Who doesn’t love a cupcake? Austin loves food trucks so much that there is even a food truck crawl every year! Just another perfect quirk of this beautiful place we call home. Halloween is a magical time for both kids and adults. Kids on Halloween get to experience imagination at its finest, they get to dress up, experience fun scares and spooks, and of course they get to go trick-or-treating for the best food group on the pyramid…candy! Adults also get to enjoy the holiday with fun costume parties and a night out on the town dressed as anything their mind desires. Halloween is a great holiday for people to have fun and let loose, but we also have to remember to keep safe on Halloween, especially when there are children all over the place walking from house to house in the search of the best candy. It’s a good idea to set a plan before going on the search for candy. Trick-or-treating could take you several streets away from your house, so you want to be able to know where you are going and how to get back. Avoid long paths by mapping out a route before leaving the house. Stick to paths that you and your child are familiar with so no one will get lost. Comfy shoes are the way to go. You want to make sure you and your children are all in comfortable well-fitting shoes. Girls in dresses should avoid heels, and all shoelaces should be double-tied to avoid tripping in the dark. This is just a hazard precaution. You wouldn’t want your children falling over in the dark especially when there are cars driving on the roads and possibly in and out of driveways. You want to be visible to all of your surroundings when you go trick or treating after dark. Apply reflective tape to your child’s costume to ensure they are seen by drivers on the road. Also, carry a flashlight with you to keep your child’s path lit at all times. Use anything to make them sparkle and shine so they can be seen by everyone. Long costumes that drag on the ground can also be a hazard, especially at night. After purchasing your child’s costume, make sure it’s an appropriate length so they won’t be tripping on it or getting pulled on by things. If the costume you bought for them is too long, hem the bottom so that they will avoid tripping at all cost. Another way to protect your children from possible injury is to try to avoid costumes that have weapons as accessories. If your child’s costume must have a weapon, make sure it is rubber or plastic. Choose a prop that won’t cause injury to your child or their friends. This is a very unnecessary hazard to have to lug around all night. Finally, after the trick or treating is over and done with you should do a quick check of your child’s candy. Be sure to throw away any candy that is not in its original wrapper, or looks as though it has been opened. Austin is an ever-expanding, ever-active metropolis that loves one thing probably above all else – eating out. And with the constant growth our city sees each year, we are rewarded with a brand new crop of amazing restaurants opening up on a monthly basis. In this city, there’s never any danger of wearing out an old favorite when there are plenty of new choices around. Check out some of these highly-rated new eateries next time you’re scratching your head over where to have dinner. One might think Austin is full to capacity when it comes to BBQ restaurants, but true Texans know otherwise: you can actually never have enough! Terry Black’s BBQ is a new offering on Barton Springs Road that returns to the glory of old-school pit smoking. Family style tables make this new restaurant fun as well as delicious. So next time you’re hungry after a long day of frolicking in Barton Springs and you want a touch of Austin, TX flair, head over to Terry Black’s BBQ. 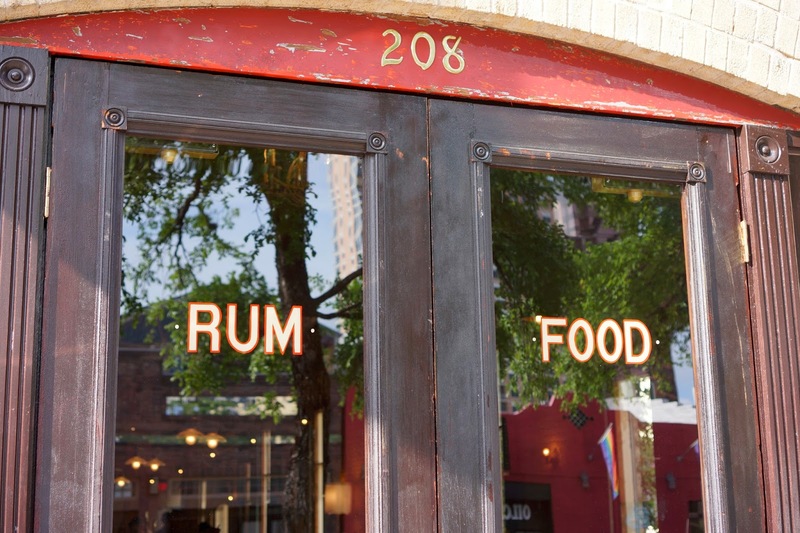 Also in downtown Austin, deep in the warehouse district, is Pleasant Storage Room, a bar that offers rum-centered cocktails, Caribbean inspired street food, and lots of island flair. In keeping with Caribbean tradition, Pleasant Storage Room serves up communal punch bowls (the Overproof Rum Punch is very aptly named!) and features a ceviche bar with the freshest ingredients. Open until 2 a.m. Tuesday-Saturday, make this unique bar part of your next downtown scene. The Silo on 7th gives diners a healthy dose of Austin atmosphere along with serving up gourmet burgers and craft beer. Housed in a repurposed tortilla factory that once stored corn in its silo, this restaurant in East Austin has plenty of rooftop seating where patrons can enjoy the city view and the weather. The perfect mix between upscale and bar food, the Silo on 7th’s menu is mainly comprised of custom burgers and unique eats such as deep-fried deviled eggs. Enough said. Pizza lovers rejoice! Due Forni has two different ovens that create two distinct types of pizza – Roman and Neapolitan style. Located on East 6th street, Due Forni also boasts an impressive wine list for the perfect sip to complement your pizza. We could go on, but these top five new restaurants are a great starting point for the eager Austin foodie. Which one will you try next? Austin is definitely a city that likes to have a good time. We practically have whole streets dedicated to it. Everyone knows about 6th Street, its infamy it right up there with Bourbon Street and any other street in the United States that declares to be a party. But a little less talked about street in Austin called Rainey Street. Rainey Street is also located in downtown Austin and is the epitome of fun and cool. Rainey Street is just wall to wall bars and restaurants that everyone can enjoy. These bars have been built in old houses and make it a very fun and chill vibe to drink in. This place is awesome. It is a great place for birthday celebrations, casual cocktails, or anything for that matter. The titles on their drink menu are all girls’ names. If your name is listed you should definitely order that because why not. And if you name isn’t on the menu, just order the name that speaks to you the most. Maybe pick the name of someone you know! All their drinks are delicious and they come out with new and refreshing drinks all the time. Bonus: There’s also a delicious off-menu cocktail named The Ashley. It consists of Hatch Chile Infused Espolon Silver Tequila, Mango, Red Pepper Simple Syrup and Fresh Lime Juice. When in doubt, order this. They have over 100 beers on tap…over 100! And just when you thought it couldn’t get any better than that, they also have the largest sausage selection in Austin. What more could you ask for? Go for brunch on a Sunday and order the Manmosa- a full bottle of champagne in a giant mug with a splash of OJ or Cranberry Juice. This is probably one of the coolest concept bars ever. The bar is actually made out of shipping containers! It’s original and adds an extra cool factor to the atmosphere at Rainey. The bar has a great selection of drinks and on the weekends you can see the line out the door. People are very excited about this unique spin on your average bar. You can enjoy privacy with your group in your own personal container…well that is if all of them aren’t full already! This bar is definitely architecturally beautiful and at least a must-see if you don’t want to stay there all night. This one is definitely a sight to see. This place is perfect for grabbing a beer and some grub. Make sure to ask one of the amazingly knowledgeable bartenders what current craft beer they think would pair best with a pepperoni pizza, then you can walk out back and order The Detroiter from local pizza heroes VIA 313. VIA 313 is a food truck placed wonderfully in the “backyard” of Craft Pride that sells delicious Detriot-style pizza. Make sure to grab a slice because not doing so will make you regret everything. This pizza is so good and it’s even better with a Craft Pride pint in hand. Rainey Street really does have so much more to offer. Take a stroll down it and you’ll find yourself surrounded by awesome people, great drinks, music, and delicious food. You don’t want to miss out on this Austin must-do! It’s officially summer time in Austin! The kids are out of school and the heat is getting hotter. And that only means one thing for Austinites, its lake time! Lakes are a big part of life in Austin and the surrounding Texas Hill Country. Lake Travis is one of the best lakes and it is so nice to have it so near, and for some, its right in their backyard. We have been lucky enough to get some heavy rain lately so the water level is starting to look better. As of today June 18, 2014 the water level is at 630.34 for Lake Travis, lower than the monthly average, but much higher than what it has been for a really long time. So even though the water level could be higher, it’s still time to get those boats and water activities started. Life is as good as it gets in the Lake Travis area. Only a few places can offer the same combination of glorious scenery, urban activity, and outdoor recreation possibilities. Situated 20 miles northwest of Austin, Lake Travis presents residents and visitors with a grand natural environment where the lake, woods, hills, and prairie come together in pristine harmony. So if you are coming in from out of town and you are looking for the perfect family destination on a lake, look no further than Lake Travis. Just imagine a place where crystal clear streams and towering trees meet the majesty of the hills. The Lake Travis area is a little slice of heaven offering breathtaking beauty and a relaxing atmosphere. And you are still close enough to downtown Austin to have a fun night out in the city. You can have the best of both worlds when you’re in Austin, Texas. Pace Bend is open for business and you can take your boat out to that ramp and get ready for the water! Enjoy your time with a day filled with water and sun. Remember to stay hydrated, but ultimately just soak up all the fun Lake Travis has to offer! We all know that Austin is great place for people to live, but it’s ALSO a great place for man’s best friend. Dogs are a huge part of the Austin community, and there are so many places for dogs to roam freely without any problem. You can easily take your dog with you anywhere in the 512, but here are just a couple places I can highlight for you that are not only great and fun for your dog but for you as well! Dog House Dog Park is centered on 2.5 acres just off FM 1431 on CR 175. They have a 1/2 acre of fenced area perfect for letting your dog of that leash. There are multiple places for dog owners to hang out and watch their dogs be dogs. In the off-leash dog park there is plenty of fresh water to go around. The Doghouse has a separate area that is fenced in for adoptions, training, and private yappy hours. The off-leash dog park area is the only area that is membership only. Fees are $5.00 for a day entry per dog. Yearly membership is $50.00 a year. If you have more than one dog, the cost of the yearly membership is an additional $5.00 per dog. This shopping center is very pet friendly. Take your dog with you on that weekend shopping spree. Take your furry best friend with you on your run to Juicy Couture or Lululemon. No need to leave your pet in the car when you have very pet-friendly areas outside and inside the stores as well. Make sure to ask the store manager if it’s completely okay to take them inside, but it should be fine for the most part; if not, the Domain is equipped with little water bowls and dog biscuits! This buzzing and busy street is very pet-friendly. Take your dog with your to the delicious Bangers and have a great time enjoying a classic brew and tasty sausage while spending quality time with your pet. Feel free to walk up and down Rainey Street with your furry companion. Take your dog to Zilker Park for a day of fun. Play fetch and fun games with your pet as well as let them play with other dogs in the park. There’s nothing like spending a beautiful day at the park with your dog taking in the sun and breathing in the crisp, clean air. Zilker is in the middle of downtown Austin with beautiful views of the city. You definitely won’t be disappointed when you check out this spot with your pet. Get wet and wild with your pup at Barton Creek! Enjoy sipping on a delicious cold beverage and taking in the sun while your furry friend plays with other dogs in the cool shallow waters of this Austin creek. Texas gets hot, so there’s no better place for you and your pet to cool down. Feel at ease when you bring your dog anywhere in this city! There are many places (restaurants, parks, and bars alike) for the two of you to enjoy a full and fun life in Austin. Austin is the perfect place for adventure! Austin is known for its live music and its food trucks, but something else that a lot of people don’t know is the amount of outdoor adventures and fun accessible to all; like ziplining at Lake Travis! Lake Travis Zipline Adventures is the perfect example of this. Perfect for family and friends, this zipline allows for hours of fun and great experiences. Most people might think that you have to travel to a tropical paradise to experience something as wild and fun as ziplining, but that’s not the case for us lucky Austinites. Lake Travis Zipline Adventures is less than a 30 minute drive from downtown Austin and features the LONGEST zipline in Texas! You will have the best day ever exploring these amazing sites the adventure has to offer. Bring the entire family or just go with a friend. You will not be disappointed. You’ll want to go back as soon as your adventure is over. It’s that fun! Lake Travis Zipline Adventures is on an isolated corner on the north side of Lake Travis. This Austin Outdoor Zipline Adventure has 5 zip lines ranging from 250 feet to one of the longest ziplines in Texas – over 2800 feet. While waiting between each zip, you will enjoy amazing views of Lake Travis and the Texas Hill Country. Your professionally trained tour guides offer education and fun throughout your challenging hikes and nature walks. For the grand finale, imagine launching off a cliff 20 stories high and zipping over 2800 feet across beautiful Lake Travis. Each tour lasts approximately 2 1/2 – 3 hours, depending on how many are in your tour. Once a few waivers are signed, you load up in a van for a quick drive to the marina. A fun boat ride over the the launch and you are at the “zipline island”. As part of your Austin Zipline Tour Package enjoy over 1/2 mile of Pristine Beach on Beautiful Lake Travis. You can picnic with family and friends for the entire day on more than 10 acres of waterfront paradise. Water sports and beach games are all available for your enjoyment. You can even take your coolers and picnic baskets! The guides definitely have the most fun job! They are entertaining but are there for your safety and they do an excellent job of it. The zipline adventure is close to perfection and everyone when given the opportunity should take advantage of this grand journey right here in our backyard. If you love thrills this activity is definitely for you. It’s fun and safe and perfect for the family to enjoy. You’ll get to enjoy some thrill-seeking fun while getting to view some beautiful Texas lands and water. This activity is perfect for the summer! Step out of the normal Austin scene and experience something different and adventurous. Drop that craft beer and leave that music venue, grab some comfy clothes and hit the lines. Austin has so much more to offer than the norm. Make sure to visit the Lake Travis Zipline Adventures site to get more info! An attempt was made to request data that is not available to the key that was used to authenticate the request.API Error ID: 983CE422F42E4BB4BDB4A2AA4981A15D The API says: [The API key you supplied is not enabled] While attempting request to (https://api.wolfnet.com/core/auth).